Oh Hey! Welcome to my new blog series BLOGGER TOP TIPS. I will be sharing with you quick and easy tips and tricks to up your blogging game. If there are any topics that you would like me to cover be sure to comment below or tweet me @serena_ozgowicz. 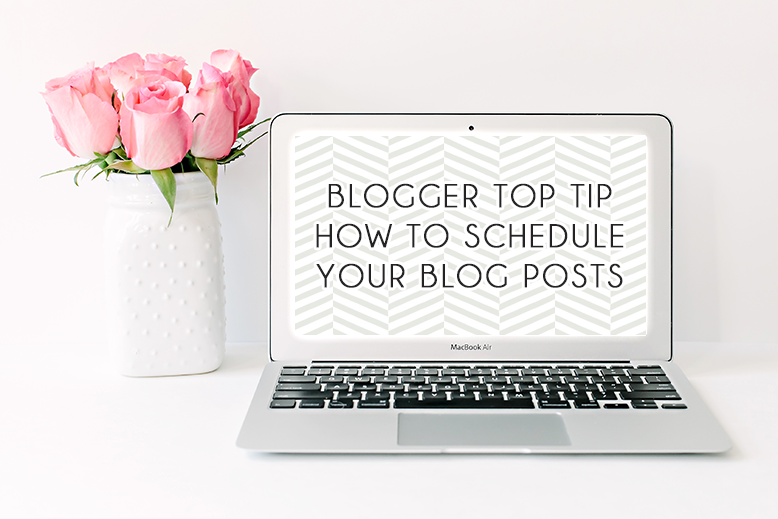 In my first instalment I will be showing you how to schedule blog posts. This is a really nifty trick that means you can write posts months in advance of when you want them to go live so you can either write loads of posts up at once or plan ahead if you are going on holiday and still want your blog to be active. This is a lot easier then you may think! Simply open a new post, or one you have already written that you would like to schedule. On the right hand side you will see Labels, Schedule, Permalink etc.. Click on SCHEDULE, then choose SET DATE & TIME. Now choose the date and time you want your post to go live and press DONE. Finally press PUBLISH. This will set your blog ready to upload at the time you specified. Super easy and super handy!